Size of this preview: 800 × 511 pixels. Other resolutions: 320 × 204 pixels | 2,592 × 1,655 pixels. 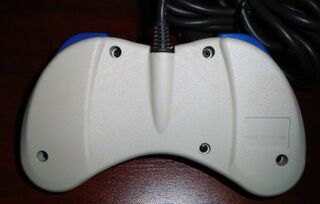 This image is a photo of an accessory to a Saturn console.